3 Tier cake to your own bespoke design, personalised with name and age etc. See our celebration cake gallery. 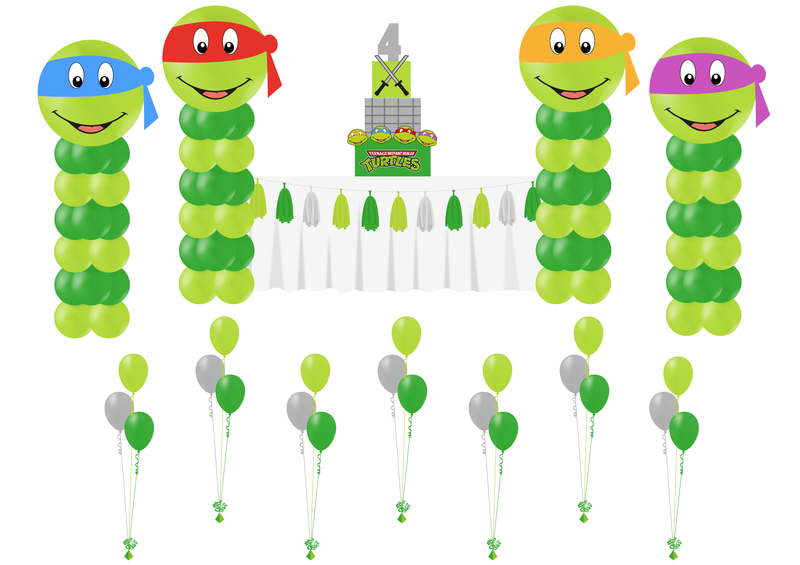 X4 Large TMNT balloon pillars. Turn your TMNT cake table into a show stopping candy buffet with jars and platters of sweets and treats in a beautifully detailed display. View our candy buffet gallery for inspiration. 3 Tier TMNT cake to your own bespoke design, personalised with name and age etc. See our celebration cake gallery.